Flowering - February - August. Habitat - Bluff forests, moist woods. 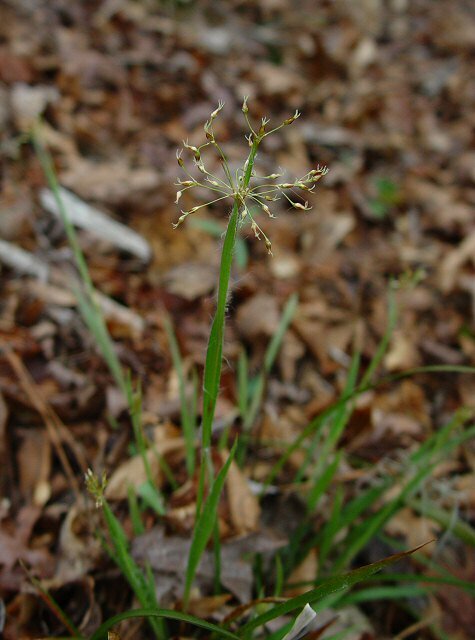 Other information - This little but distinctive species can be found mainly in the northern hlaf of Alabama but it is scattered throughout the state. 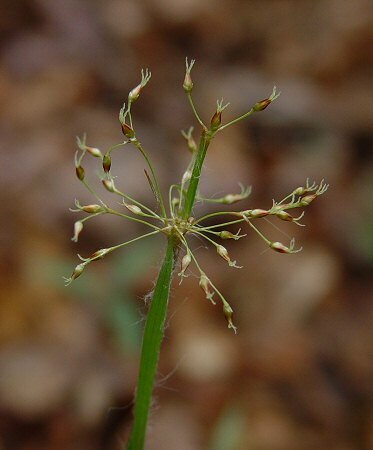 The plant can be identified by its habitat, cespitose habit, pilose leaf margins, and compound inflorescences. The Alabama material belongs in the variety carolinae (Watson) Fern. with plants having compound inflorescences. Another variety, variety acuminata has simple or only slightly compund inflorescences. 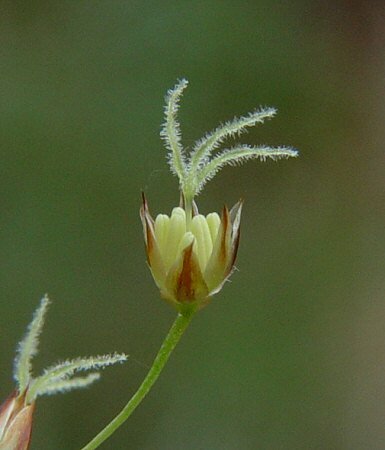 This latter variety is found in states to the north and east of Alabama. The genus name Luzula is derived possibly from the Italian "lucciola" meaning "to shine, sparkle" or the Latin "gramen luzulae or luxulae" the diminutive of "lux" meaning "light" because the hairs of several species have shiny appearance when covered with dew. 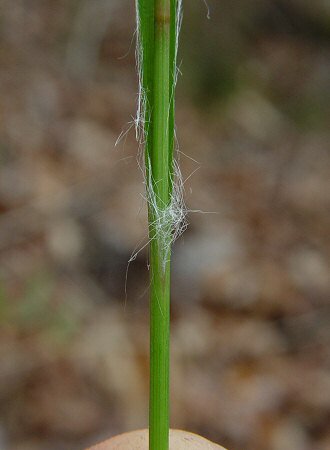 The species epithet acuminata derives from the Latin "acumin(a)" meaning "a point, pointed" probably referring to the perianth parts. Photographs taken in the red hills of southern Alabama, 2-26-05.